Dr Shamila Nair-Bedouelle is a South African national, with an international career as research scientist and policy analyst in technology and innovation. She has worked in South Africa, Germany, France, the USA undertaking reseach and managed a wide range of international programmes in developing countries. 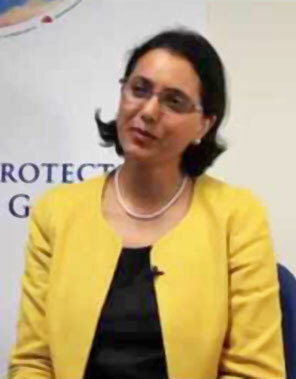 In December 2012 Dr Nair-Bedouelle took up the position of Head of the OzonAction Branch of the UN Environment. Before this assignment, she was the Chief of the Implementation Unit under the Division for Science Policies and Sustainable Development, Natural Sciences Sector with UNESCO and prior to that she was a Programe Manager in the European Commission Research Directorate.